A few dozen sociologists have visited Yerevan to discuss the issues in the area of social construction of reality. The international conference The Social Construction of Reality: Human Communication Opportunities and Risks will be held on September 25-27. 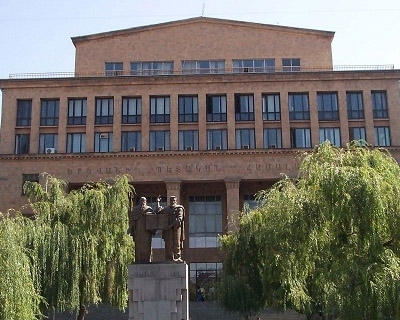 74 specialists from 12 countries have arrived in Armenia to participate in it. And the most awaited guest, however, was the founder of theory of phenomenological sociology and social construction, Dr., Professor Thomas Luckmann. Mr. Luckmann was invited to Armenia by YSU Faculty of Sociology and this is his first visit to our country. The 85-year-old scientist has rejected invitations to many European countries, but the invitation by the Armenian side was accepted by him immediately. Dean of the faculty is sure that it is conditioned by the fact that our experts have got their recognition in Europe already and the western specialists are aware of the sociology level in our country. SPRING PR company supported YSU in.